Get help with issues involving legal matters, divorces, custody, etc. Calling all who care about women’s rights, human rights, and democratic government. TUESDAY, January 8, 2019, at 7:00 p.m.
We start the New Year with our concern for women's needs. This year, we focus on women's health, we focus on nutrition, exercise, general health practices, mental health, and drug dependency. While the Opioid Crisis is an issue which has powerful implications for all, we are focusing our attention on women. Ms. Yakushchenko is experienced in dealing with patients who are undergoing dangerous levels of drug overdoses. There will be an opportunity for questions and comments. Meet the CWNY Members from our "Take Action" Initiative talk about their experiences during their actual volunteer actions of non-partisan door-to-door, direct face-to-face discussions with voters on the issues. 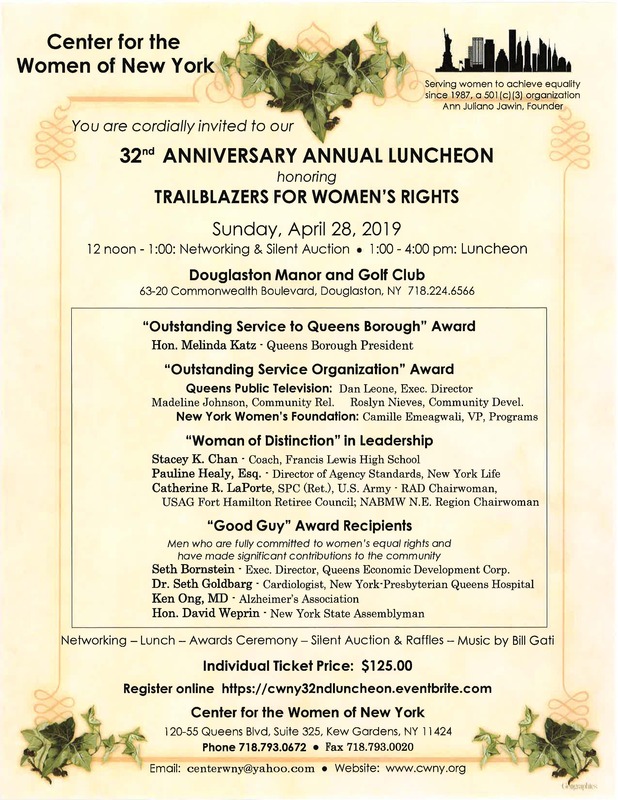 Also invited: Moira McDermott, Director of "21 in 21", the organization committed to having 21 women in the NYC Council in 2021. Come and learn how you or someone you know can learn how to join the large number of women who are making history! Thank you to the voters who came out in record numbers and exercised their rights to participate in our precious right to protect our Democracy. Thank you to the voters who voted for candidates who pledged to support the Women's Agenda! The result: twice the number of women elected to the U.S. Congress and a huge majority of men and women elected to the New York State Senate and Assembly also pledged to support issues vital to the Women's Agenda.